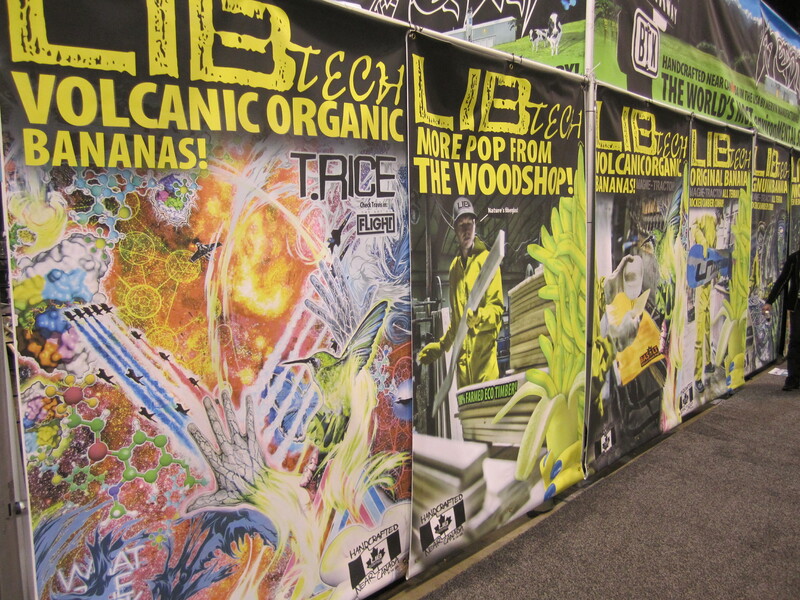 Snow Show in Denver was a collision of color, products, ideas and energy. What a week in Colorado: Denver Big Air for two days followed by four days of Winter X Games in Aspen. 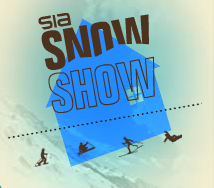 But for us, the most important event of the week was Snow Show, the annual gathering of the outdoor tribes of manufacturers and retailers in the ski and snowboard industry. We were excited to have a chance to show off our Eco-Circle gloves and mitts, the first completely recyclable glove products. Our newest smooth-grain gloves, the X-Plode and Garland (the latter for women), proved to be MUST-buys for retailers for next season’s shelves. Our friends at Freeskier did a great roundup with photos of the coolest things they found. Here’s what SkiingMag.com says about next year’s skis. The Denver Post reported it was “boom times” at the show. It’s not just about the big boys. An avalanche of small companies are making very popular skis now. 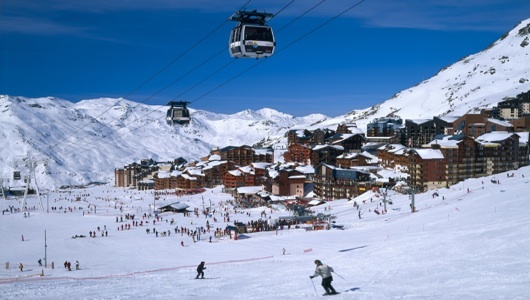 Ski Channel reported on the upbeat atmosphere as well as highlights in outerwear, skis, snowboards and other categories. It had to start somewhere. Watch this video of the opening ceremony, featuring new Colorado Gov. John Hickenlooper. Kevin Pearce, left, with his family. Hey, it’s the end of the year, so why should we limit ourselves to just one week? So here’s a look back at the most popular stories we posted about on the Swany Outdoor Adventures Blog. The feel-good story of the year is the ongoing recovery of snowboard star Kevin Pearce, who served as an emcee and host at the Dew Tour stop in Breckenridge. Read Scott Willoughby’s great story in the Denver Post. Entries are rolling in for our Outdoor Adventure Video Contest. Watch one and enter. It’s EASY! The Nike 6.0 Winter Dew Tour stop in Breckenridge produced a ton of powder and wins for Louie Vito, Queralt Castellat, Simon Dumont, Dania Assaly,Alexis Godbout (who edged local favorite Bobby “Big Air” Brown) and Ashley Battersby. Read the complete story. The first-ever Denver Big Air competition is poised to take off Jan. 25-26 in the heart of Denver. Workers at Snowmass Resort in Colorado dug up a mastodon. No word yet on whether it preferred powder or spring skiing. The completely recyclable Eco-Circle gloves. As we always say, it’s one thing to hear us praise Swany Gloves, but even better to hear OTHER people talk about why they’re terrific. This week we were fortunate to get the good word from Scott Willoughby, who covers outdoor sports (World Cup skiing, X-Games, Olympics) for the Denver Post. Scott, who also gets out and hits the halfpipe himself, wrote about our Eco-Circle gloves and mitts, the first completely recyclable gloves. 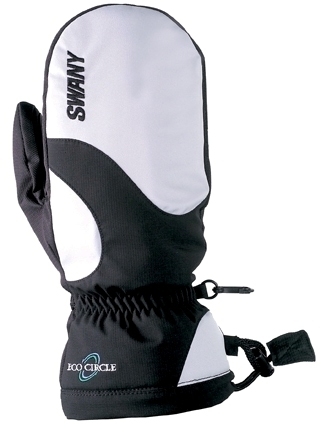 Among other things, he said “the proven Swany brand deliver(s) the digit insulation that skiers have come to expect” and “riders looking for good gloves and a good cause will find both in the Eco-Circle.” Full review. 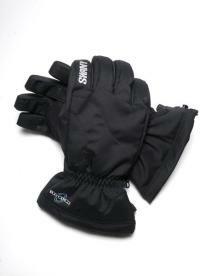 Terrific consumer review of our X-Cell II gloves. This happy customer loves the Swany Legend. James Gardiner, a member of the Vail Snow Squad, previously wrote “The end of hand warmers” in praise of his new X-Change Gloves. Then there was this nice shout-out for Arctic Toasters. Here’s a nice review of our Heavy metal glove. How about this awesome write-up of our recyclable Eco-Circle gloves on the Whom You Know blog. It’s time for Snow Show in Denver. While the event attended by up to 20,000 officially opens Thursday, the Mile High City’s already a hive of activity, focused around the Colorado Convention Center. As always, Swany Gloves will be in the mix with a number of great products, including Eco-Circle, the first-ever completely recyclable gloves. That’s just one reason we’d like to invite you by our booth (#1777). We’ll be available throughout the show at our booth, but you can also set up a time to talk with Bill Dzierson, Swany’s Senior Vice President, by calling him at 518-330-4949. Can’t reach Bill? Call Joe Rassenfoss of R&R Media at 303-803-8008. Want to have more fun during the show? Check out our Denver Guide to restaurants, bars and more. Eco-Circle Gloves are the first cradle-to-grave recyclable gloves. Every part of the glove can be used to make the next pair, which helps eliminate waste. And because it uses recyclable material, making the NEXT Eco-Circle glove requires less energy consumption. Techno and I_Finger: Casual gloves with a touch-screen finger that let you operate an iPod or iPhone without removing your gloves. Packybak: Light-weight gloves that can be conveniently packed into an attached bag and clipped to a belt so they don’t get lost. Eversoft: They keep your hands warm AND moisturized with a liner that can be recharged with moisturizer as needed. The Big Blue Bear peeks into the Convention Center. How big of a deal is the Snow Show for Denver? Huge. The annual expo, which visits the city for the first time this year as part of an 11-year deal, will bring more than 15,000 to the city for the event that runs Wednesday-Sunday at the Colorado Convention Center. The Denver Post took a closer look at the show’s impact. Coming to Denver for Snow Show? Check out Swany’s Denver Guide for the best restaurants and bars in and around downtown, as well as tips about how to navigate the city. And when you’re at the show, visit the Swany Gloves booth to learn about the first completely recyclable gloves, Eco-Circle, as well as our other new offerings. Denver and Colorado are rocking for Snow Show in Denver (Jan. 27-30). So let us show you some of the events of note as well as a guide to eating, drinking and getting around during your visit. Check out Denver Big Air on Tuesday and Wednesday. It’s the first time a Big Air competition has been held in North America. Even better: it’s held in Civic Center Park in the heart of downtown Denver. Complete guide. The Ski Channel Film Festival is a GREAT addition to Snow Show. Watch films Thursday-Sunday at the Convention Center. Want music? Icelantic skis will host a concert by Big Boi on Friday. The Transworld Rider’s Poll Awards also are on Friday, followed by a concert by Rebelution. Tickets. Find more events at the Mile High Snow Fest web site. Once you’re done at Snow show, head to the X-Games in Aspen. To help you start planning more of your visit now, here’s a Denver Guide guide that highlights Bars, Restaurants and Getting Around. 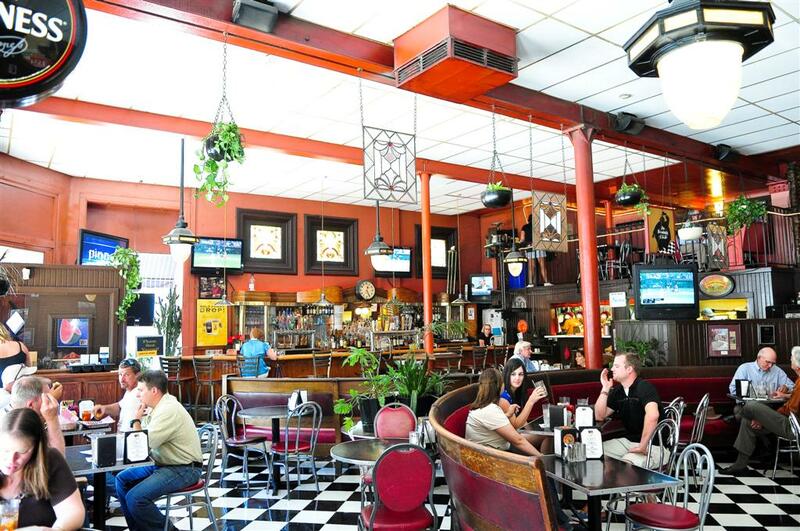 Nothing makes us happier than recommending good watering holes. Just remember this piece of advice: While it’s important to drink more fluids at high altitude (and we ARE at 5,280 feet), too much alcohol at altitude can be a killer for a flatlander. Consider yourself warned. Denver and the Front Range have a well deserved reputation as one of the country’s microbrewing hubs. Here are some great places to explore foam on the range. The Wynkoop Brewing Company was the first in Lower Downtown and in many ways remains the best. It’s a huge place (pool hall upstairs), with a great selection of beer (start with Railyard Ale) and decent grub. You’ll find Breckenridge Brewery a few blocks away, just past Coors Field. Also large and comfortable, start with an Avalanche Amber Ale. You want insane variety? Falling Rock Tap House has a wall (we’re not exaggerating) of taps to choose from and the bartenders know their stuff. You just have a nasty thirst and need to DRINK? Nallen’s is for you, a spartan joint a few blocks from the Convention Center that is probably the city’s most authentic Irish bar (which doesn’t mean it’s cuddly). All hotels have bars, but most hotel bars aren’t the best place to hang out. A couple worth noting, though. Our favorite is the tiny Cruise Room in the Oxford Hotel. From the cool art deco design to the killer martinis, it’s almost worth the crush of people. The Corner Office in the Curtis Hotel, just a block from the Convention Center, has a hip vibe and a good crowd. Katie Mullen’s Irish Pub in the Sheraton Hotel on the 16th Street Mall, while hardly authentic, is a perfectly good place to find some good beers (and stronger stuff) while also accommodating a bigger crowd, often a necessity at a trade show. BD’s Mongolian (you build it, they grill it). The informal and instantly comfortable Market can’t be beat for affordable breakfast, lunch and dinner (plus great coffee and desserts). Mexican: The folks at Chipotle didn’t invent the burrito, but they have made it into one of the tastiest and fastest growing restaurant concepts in the country. You’ll find them just off the 16th Street Mall at California Street, among many other places in Denver. Visit the chain’s very first location at 1644 E. Evans Ave. (a 10-minute cab ride from Downtown) to buy a T-shirt that says “I’ve Made the Pilgrimage to Evans.” Anything good always gets copied, and the folks at Illegal Pete’s on the 16th Street Mall have some great burrito and tacos of their own, as do the gang at Wahoo’s Fish Taco in LoDo. For REALLY authentic Mexican, take a short cab ride to northeast Denver and Taqueria Patzcuaro. Denver has an easily walkable downtown; renting a car isn’t really necessary unless you plan to drive to outlying neighborhoods or the mountains to ski. 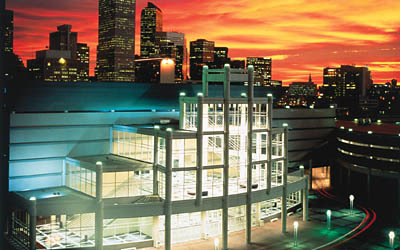 Many of you will be within a few blocks of the Colorado Convention Center. For those in downtown hotels that aren’t as close, use the FREE 16th Street Mall Shuttle (get off at Stout Street and walk two blocks to the exhibition hall). The pedestrian mall serves as the spine for downtown, so most hotels are within a block or two of the mall. It starts running early and completes its last route about 1:30 a.m., so it’s useful if you’re out late (and we know you’ll be out late). Staying outside downtown? See if you’re close to an RTD Light Rail Route. The train stops right in front of Civic Center Park, where Big Air will be contended, as well as a block from the Convention Center, where Snow Show will be held. It runs until 2 a.m. Looking for a cab? The city has three main companies: Yellow Cab (303-777-7777; they also handle Super Shuttle); Metro Taxi (303-333-3333); and Freedom Cab (303-444-4444). And keep an eye out for the city’s growing fleet of pedicabs. If the weather’s warm, a bike cab can get you to various locations downtown faster than a car. Finding your way isn’t difficult if you use the 16th Street Mall to navigate the city grid. The Lower Downtown area (better know as LoDo) is one of Denver’s most popular places to find dinner, drinks, live music and more fun. It’s a mix of high-end restaurants, brewpubs and affordable eating. Here’s a list of Lodo restaurants. Ski resorts increasingly are turning to green technologies to provide energy as well as look for ways to recycle the waste they produce. Among the leaders in Colorado are Aspen Skiing Co., Steamboat Ski Resort, Silverton Mountain and Vail Resorts. Learn more about how 80 Western ski resorts “graded out” when ranked by the Ski Area Citizens Coalition, a partnership between Colorado Wild and the Sierra Nevada Alliance. The list created by the coalition, which has been ranking more than 80 Western ski resorts for the past 10 years, includes the 10 best. Swany Gloves is taking steps to be greener as well with the introduction of the first “Cradle to Grave” recyclable gloves. Our new Eco-Circle Gloves employ a closed-loop recycling system for polyester products that not only eliminates waste, but decreases oil and energy consumption AND reduces CO2 emissions during production. Read more about Eco-Circle here. Keep up with Swany by following us on Twitter or becoming a fan on Facebook.